Electrical hazards and ensuing fatalities or damages are not something we as humans alone need to worry about. Those of us who have pets need to worry about them too! 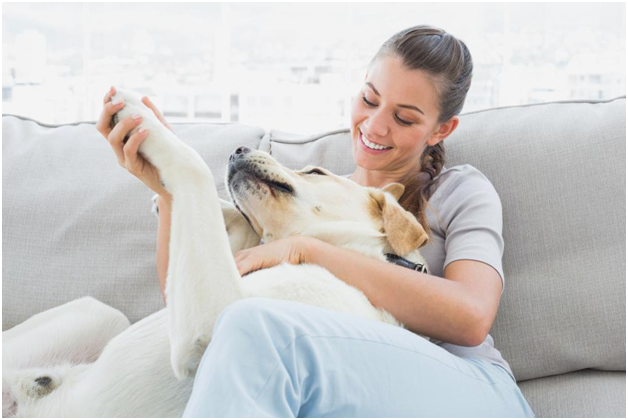 If you’re someone who has a furry friend or family member within the home, we’ve got some brilliant tips related to home electrics to help you keep them safe! Like children, animals are curious; this is especially in their younger days. Kittens, puppies and pet rodents have an affinity to sniff at and often chew on things. In a sense this is how they familiarize themselves with their surroundings. The problem is; chewing on something like a live wire can kill them. The first thing you want to do when it comes to electrical pet safety is to make sure you do not leave wires exposed or bunched in areas where your pets can access them. Look into wire concealment options as well as methods to reduce the overall wiring in your home. You could replace lamps with wall and ceiling lights, add dimmers for light control and invest in wire boxes to keep near your television and computer tables. Wire reduction and concealment massively reduces the chances of your pets getting electrocuted. The other thing you need to do is make sure certain electrical appliances are either kept guarded or completely out of reach with regard to your pets. Appliances such as irons, hair driers, portable water heaters and others can burn or harm your pets in other ways. Make sure you keep these disconnected and locked away when not in use. Further, try keeping these appliances and their use restricted to areas in the home that your pets have limited access to. Sockets and open extensions can also be a hazard for your furry friends. Whether it is your cat fiddling with things, your dog slobbering over an open extension panel or your pet rodent trying to hide food in a socket, it’s all quite dangerous. In order to counter this, look into safety sockets and extensions with automated locking. These are usually recommended for homes with children and babies but are just as effective when you’re looking to pet proof your home! If you’re someone who loves animals, chances are there is little difference between having a pet and a child of your own where you’re concerned! Bearing this in mind, the points above should help ensure that no harm comes to your little companion – at least not from electricity! Those of you located in Cypress Texas looking for professional electrical services or looking to hire an electrician to help you pet proof your home can always connect with us!